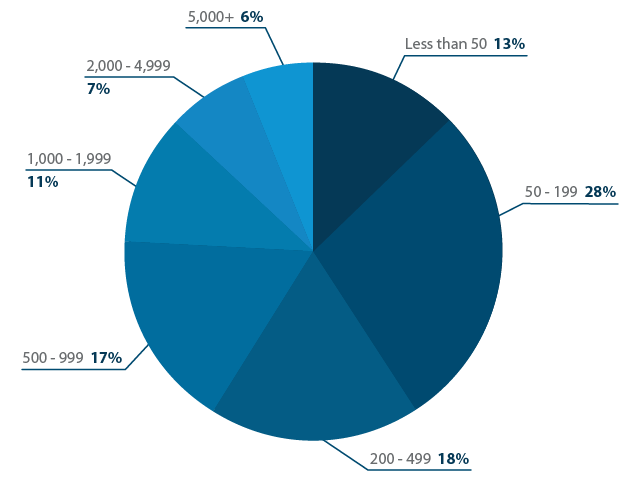 In early 2015, Capterra surveyed over 400 businesses of all shapes and sizes to compare what types of membership management software they actually use. Before membership management systems, life was hard. Member information was saved in spreadsheets overrun with tiny boxes of critical information. New members had to apply by hand with application pages barely held together by staples. Someone had to lick all those envelopes stuffed with membership communication. And then software came in to overhaul the whole process, both for strictly membership organizations like professional associations and for other groups like clubs, event planners, and charities. 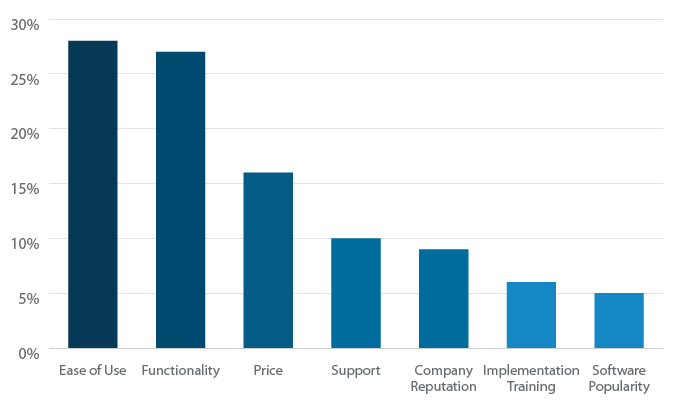 To better grasp the power and proliferation of membership management software, Capterra surveyed users to find out who they are, what the buying process was like for them, how they use their systems, and how they feel about it. This membership management software research report is full of valuable insight for shoppers, users, and vendors alike. Fully 57% of users said their software made a significant impact on their membership's satisfaction and engagement rates. The top most desired features for a membership management system were mobile app functionality and the ability to accept donations. A massive 84% of users were satisfied or very satisfied with their current membership management software. Most (59%) respondents were first generation purchasers of membership management software. Nearly two-thirds of users, 65%, spend more than $100 monthly on their membership management software. Read on for the complete findings, all in an easy-to-understand, shareable format. 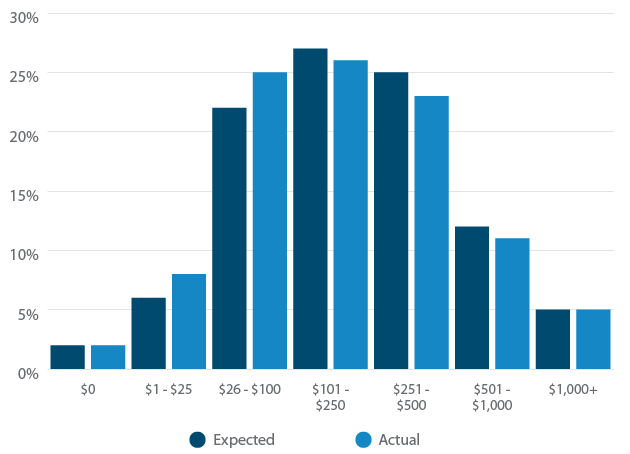 This membership software survey includes details on how cost expectations matched up with reality, the features people use the most, and revealing statistics on search and implementation time. 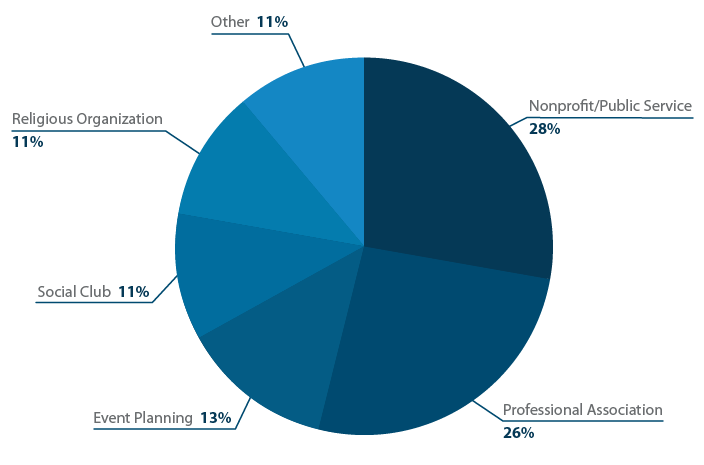 Membership management software users came from a wide range of industries, but most work in nonprofit/public service or professional association spaces. Of them, 74% identified themselves as qualifying for 501(c)3 status, which includes religious organizations, clubs, and associations that financially qualify for not-for-profit status from the government, even if their mission is not service-oriented. Across all organizations, there was a correlation between membership size and revenue. 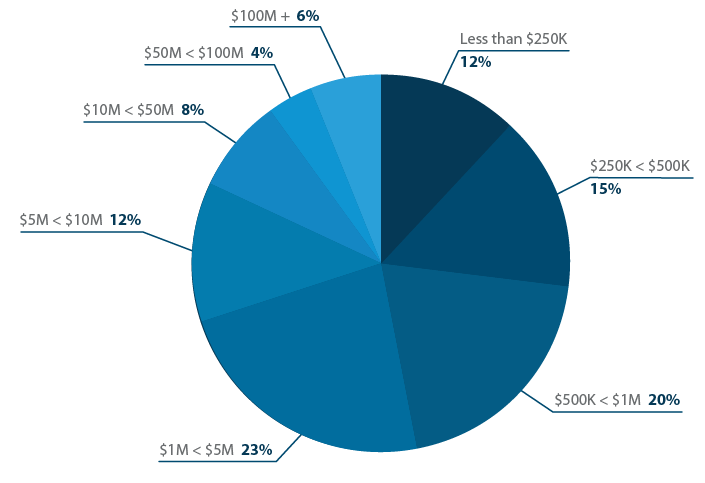 Among groups with less than $250,000 per year in revenue, half had fewer than 50 members. Of those with revenue of $100 million or more annually, 63% had membership topping 5,000. Perhaps pushed up by the inclusion of these large groups, the average number of admin users for the software was 18. The median number of administrators was five. What was the buying process like? 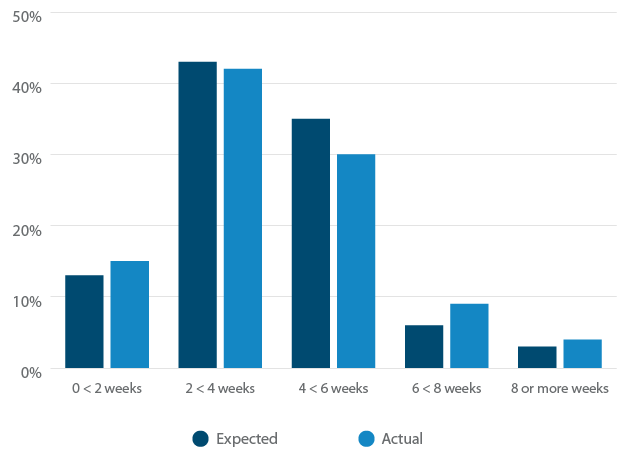 Most users (72%) spent between two and six weeks searching for membership management software.70% membership management software users spent between 2–6 weeks searching for their software.Tweet This It took 20.4% of respondents longer than expected, but 19.9% spent less time than they thought, so buyers are, on balance, planning accordingly. 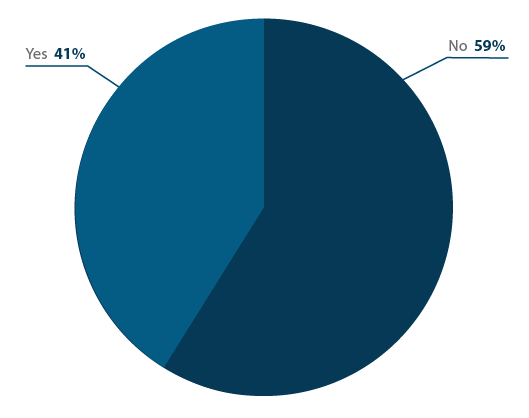 59% of our respondents were not using a different membership management system before buying their current software. With a majority of first-time buyers of membership management software, it may indicate large growth potential in the market for membership software tools. Did you switch from another membership management system? For those replacing their old system with a new one, features rang out as the biggest reason for a change. 20% said they switched because their previous software didn't have the right features for them. 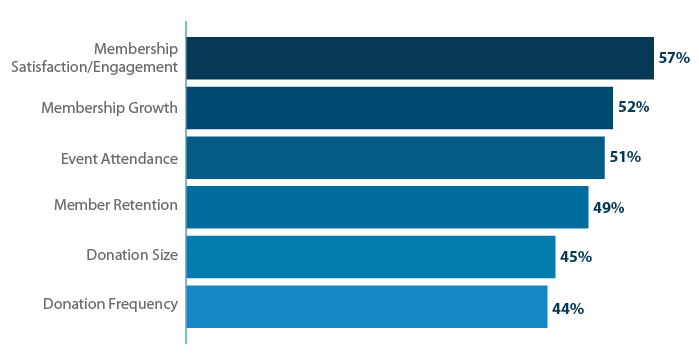 Expense was the second-most given answer, not surprising for those in the nonprofit industry and others with limited cash flow, though differing significantly from our research in other software verticals. A lack of quality support and difficulty of use were two other common complaints that led to switching. Whether they had membership management software before or not, more than 25% of respondents said ease of use was the most important factor in the decision to buy a system.Ease of use is the most important factor in membership management software purchase decisions.Tweet This At organizations using these tools, chances are staff are not tech experts, so they need software that doesn't have a steep learning curve. Most (54%) did two demos to test out the options before making their choice. 21% did one demo, and 7% tried out four or more systems. How many demos did you have before making a purchase? 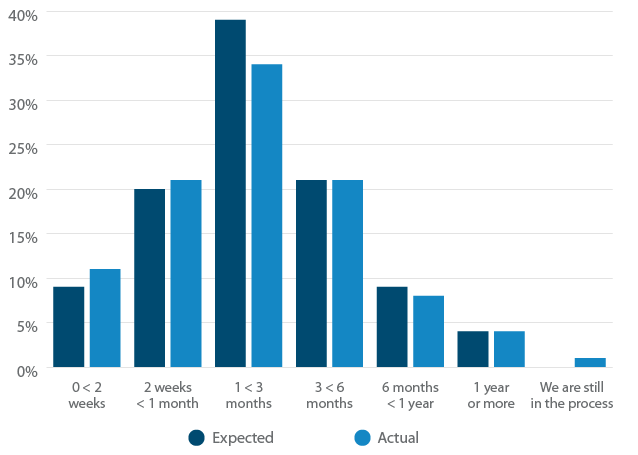 34% of software users who participated in our survey spent from one to three months implementing their system at their organization, which was the most-reported time frame. 23.3% spent longer than expected, and 22.8% took less time than expected to implemented, so respondents slightly underestimated how long it would take to get up and running. 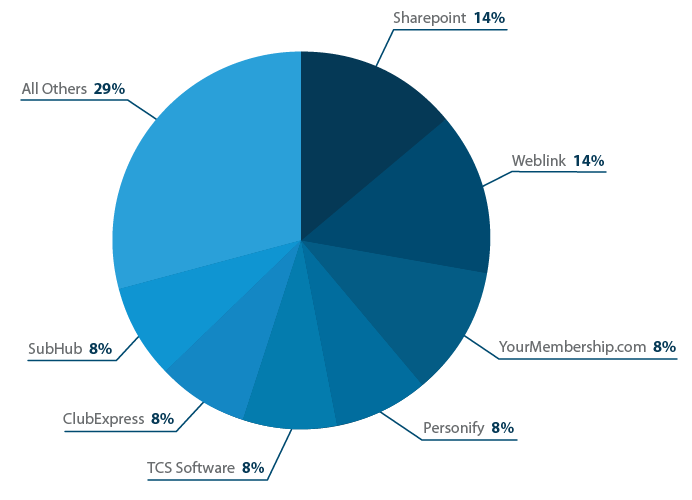 When it came to what software respondents use, Sharepoint and Weblink took the largest slices of the pie at 14% each. These responses include many of the solutions that Capterra found in our previous research on software popularity, which can be found in our Top 20 Most Popular Membership Management Software infographic. When it comes to what respondents are using their membership management software for, there weren't many surprises. Email communication was highest, with 63% using the feature. Over 60% of membership management software users use their software's email communication tools.Tweet ThisOther standard membership needs like database systems and new member sign-up ability scored well. Somewhat less expected were the popularity of website integration/content management, which came in fourth place with 48% of respondents utilizing that function, and file sharing, just behind at 47%. More robust membership systems are likely to carry these features in addition to the common components. Of those who identify themselves as working in the nonprofit industry, only 36% have and use the donation acceptance feature. This could indicate they are using a different software product, like a system designed for fundraising or donation management, to accomplish this task. A majority of users (65%) spent more than $100 per month on their membership management software. 25% spent between $26 and $100 each month, with about another 26%, the largest group in our survey, spending from $101 to $250 monthly. 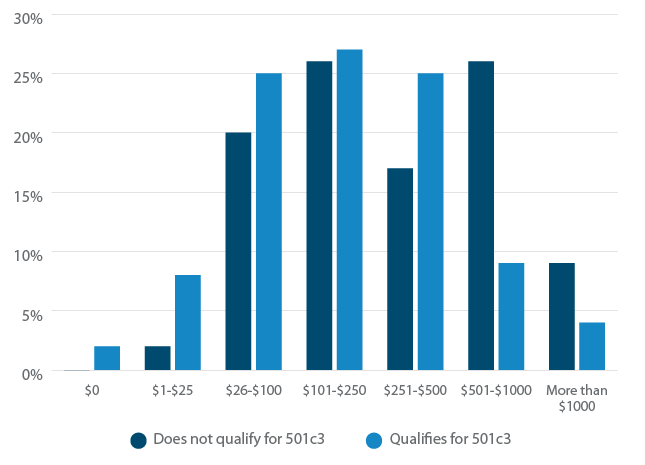 21% of organizations that did not qualify for 501(c)3 status spent more than their nonprofit counterparts. Groups seems to be budgeting appropriately, as on average expected and actual spend was roughly equal. 25% spent less than they expected, while 18% spent more. 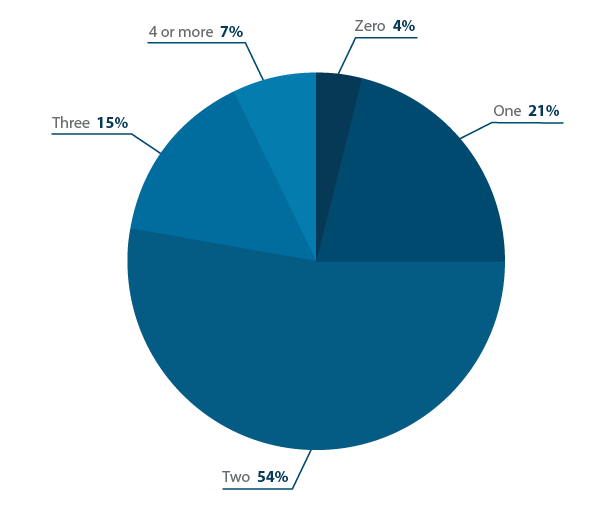 The largest portion of our survey-takers (42%) have been using their software for one to two years. 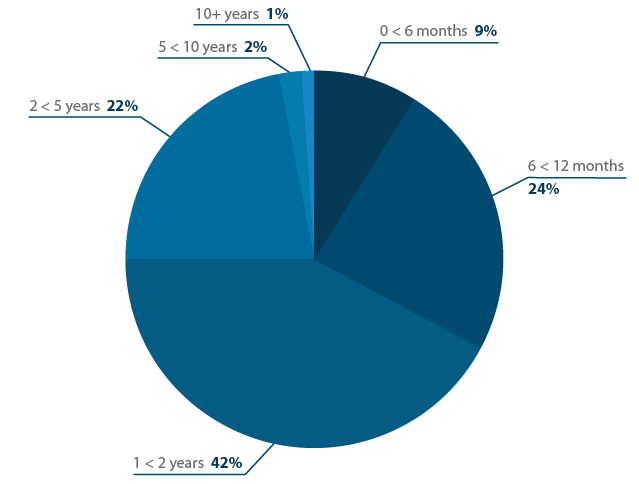 While 88% of users have had their system between six months and five years, a steadfast 1% have held on to their product to the 10-year mark. Satisfaction rates were high, with 55% of respondents saying that they are "satisfied" and another 29% calling themselves "very satisfied. 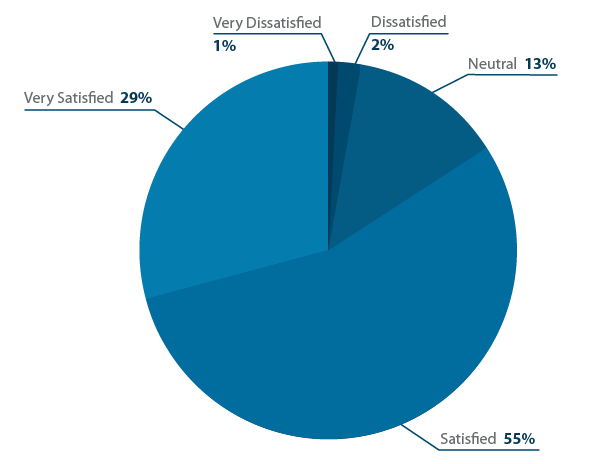 "Over 80% of membership management system users are satisfied or very satisfied with the software.Tweet This Just 3% said they were "dissatisfied" or "very dissatisfied." When comparing length of use to satisfaction rates, there appears to be a honeymoon period early on. 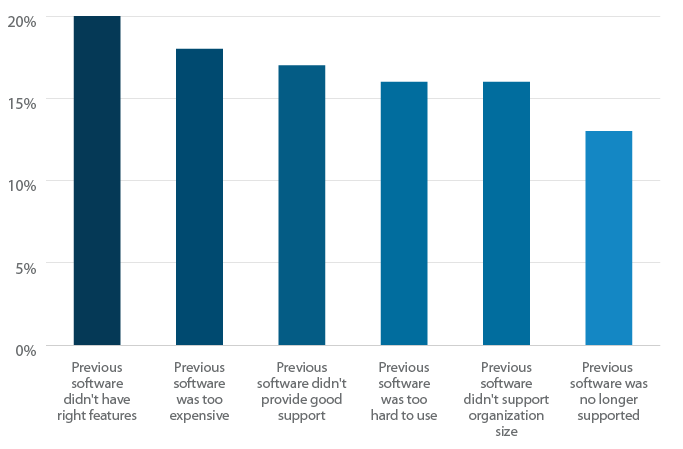 Those who have had their software for fewer years spoke more highly of their system, with the highest satisfaction levels at 92% (including satisfied and very satisfied) at 2 to 5 years. Once users reached 10 or more years, however, they tended to be either highly satisfied or neutral toward the product. 57% of users in our survey said their software made a significant impact on their membership's satisfaction and engagement. More than half also felt it had the same effect on membership growth and event attendance. The inclusion of a mobile app and donation acceptance topped the features wish list for respondents. With mobile access near the top as well, organizations using membership management software are getting on board with the year's big push toward mobile. 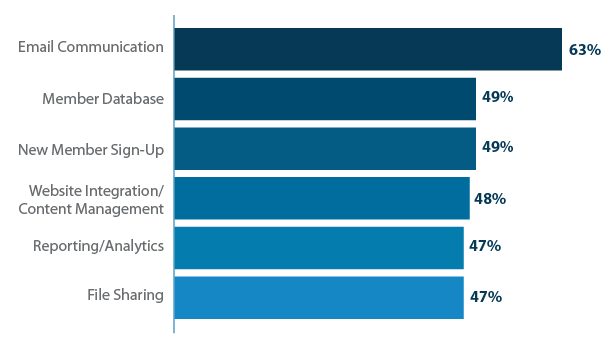 Capterra's membership management research shows how users choose and use software for their organizations. 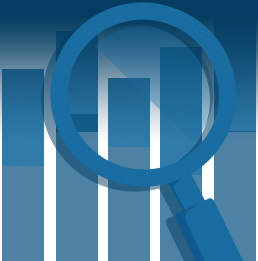 Even though most respondents were first-time buyers of this type of software, they had reasonable expectations for price and length of search, and were close in implementation time. They also see very real effects of membership management systems in their membership satisfaction and growth, which (combined with the systems meeting their expectations in the above areas), is likely the reason for high satisfaction rates. With features ringing out as the most-sought-after element during shopping, software vendors should pay attention to which features were most desired. Shoppers are looking for systems that go beyond just database management and are also ready for the leap to mobile, all while still being simple to operate. This may to point to more all-in-one solutions in the future, as long as they don't appear daunting to organizations that prioritize ease of use. Capterra collected the data in this membership management systems report through a 23 question survey to membership management software buyers and users online, conducted over the course of two and a half weeks and receiving a total of 418 qualified responses. Hannah S. Ostroff is a writer for Capterra, a free resource that matches buyers and sellers of business software. A graduate of the College of William & Mary, she spends her free time cooking, singing, reading, and watching videos of baby animals.